The chart was produced by the Heritage Foundation, a self-identified conservative think tank in Washington, D.C., which advocates for, among other things, the Republican Party and increased military spending. The Foundation’s chart gives Department of Defense spending in inflation-adjusted terms, which is necessary to give a valid comparison. To properly interpret the chart, look at the figures and ignore Heritage’s spin. The decline in military spending under President Eisenhower, and the steeper decline under President Nixon, are not labeled, but the modest uptick in military spending under President Carter is labeled “Carter era of neglect.” During the “Bush catch-up” military spending went to heights greater than in any post-World War Two period, including the peak years of the Korean and Vietnam Conflicts. The “Obama defense freeze” will keep military spending higher than at the end of the Eisenhower, Nixon or Reagan administrations. The Heritage analysts do make one valid point. They point out that military spending is a much smaller fraction of the U.S. economy than in President Eisenhower’s time. Military spending was 14.2 percent of American gross domestic product when Eisenhower took office, 9.3 percent when he left and 4.5 percent when George W. Bush left office. Some Pentagon officers say military spending should never fall below 4 percent of GDP. That kind of language makes the military seem like a claimant demanding an entitlement. The military budget should not be based on the size of the U.S. economy, but the size of the threat to be defended against. In President Eisenhower’s time, the United States had to be ready to defend itself against the Soviet Union, which had a land army capable of overrunning Europe and nuclear forces capable of destroying our own country. Today’s terrorists and rogue states have no such capability. I don’t think we need spend more on the military now than we did then. I don’t think our military spending needs to be nearly as great as the whole rest of the world put together. President Eisenhower was able to put a cap on the military budget without endangering the country. We should be able to do the same today. Below are tables giving figures on U.S. military spending in dollars, in inflation-adjusted dollars, as a percentage of the federal budget and as a percentage of GDP. I gave them for the peak year of World War Two spending, the bottom year of postwar demoblization, and the final years of each Presidential term. Fiscal years begin on Oct. 1 of the previous year, so the last fiscal year of the Truman administration was 1953, and the last fiscal year of the Bush administration was 2009. Click on OMB Federal Budget History for the sources of these figures. I took all the actual and percentage figures from Table 3.1, and used the GDP deflator figures from Table 10.1 to produce the inflation-adjusted figures. Since I adjusted inflation to the base year 2000, as Table 10.1 calls for, my figures are different from Heritage’s, which use the base year 2005. My figures don’t jibe with other figures quoted by analysts and journalists. My explanation of the difference is that it is hard to get a handle on military spending, the figures for current and recent years are based on estimates, and they vary depending on when the article or report was written. My figures are from a 2009 document, and the numbers undoubtedly have been revised since then. They give a rough indication, nothing more. Much defense spending is outside the official budget of the Department of Defense. It is carried on by other agencies, and sometimes it is secret. The figures I quote don’t reflect any of this. Chalmers M. Johnson tried in vain to find out how many U.S. military bases there are in the world for his book, The Sorrows of Empire. I hope that is because the information is secret, and not because nobody in the government actually knows. In short, I regard the 2009 OMB figures from 2005 on back valid looking backward, but the figures for 2009 on forward probably are subject to change. Click on The Federal Pie Chart for the War Resisters’ League estimate of true military costs, including war debts and the cost of veteran’s benefits. I think this is a valid way of looking backward at the real price of war, but not relevant in projecting future military budgets. War debts are a fiscal obligation we cannot evade, and the cost of services to veterans are a moral obligation we cannot evade, but neither has anything to do with what we need to spend in the future to protect the nation. Click on Gates: Military spending should be subjected to harsher scrutiny for Eisenhower-like comments by the current Secretary of Defense. 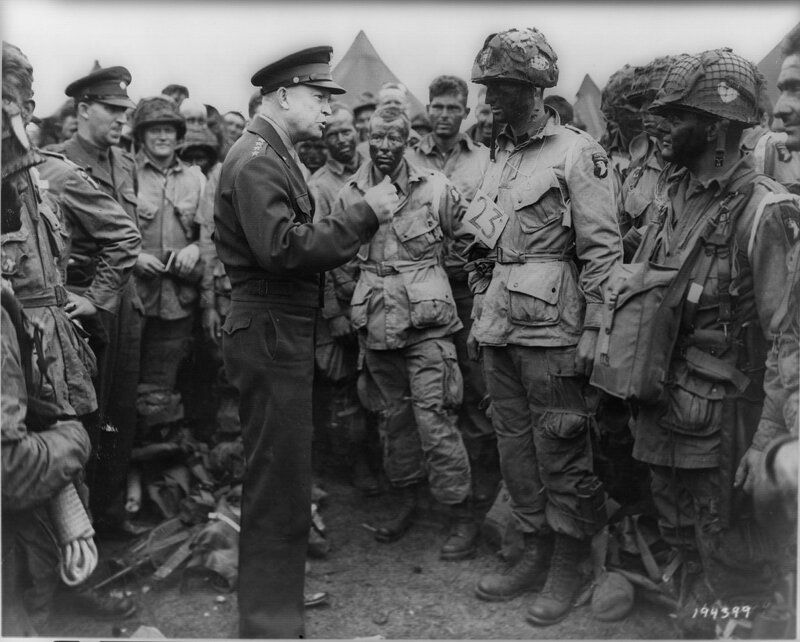 Click on What Eisenhower Could Teach Obama including Part Two and Part Three for the thoughts of a former CIA analyst. Click on ‘Entente Frugale’ for a report on how the British and French governments are merging their military forces to save money. This entry was posted on November 18, 2010 at 7:07 am and is filed under The Passing Scene. You can follow any responses to this entry through the RSS 2.0 feed. You can leave a response, or trackback from your own site. Some useful data presented here, not the usual ideological nonsense the post truth fake news ctrl-leftstream media likes to quote in isolation, like not using GDP percentages as the only valid measure of national effort and instead using inflation adjusted dollars that conveniently removes productivity increases and other intrinsic factors from the equation so that it is possible to make claims in the present that defense spending is at levels greater than World War Two when in fact the opposite is the case and is in fact at the lowest levels of national effort for most of the past century (and extreme left and right wing movements popping up left and right everywhere, surprise, surprise). A commenter even offered up a useful link to another Eisenhower quote that is particularly insightful today with regard to the $100B global warming industry and many other entrenched sectors of the economy. Copy and paste for future reference.